House Speaker Gloria Macapagal-Arroyo apparently took only a three-and-a-half-hours break before resuming to work on Tuesday after working overnight. 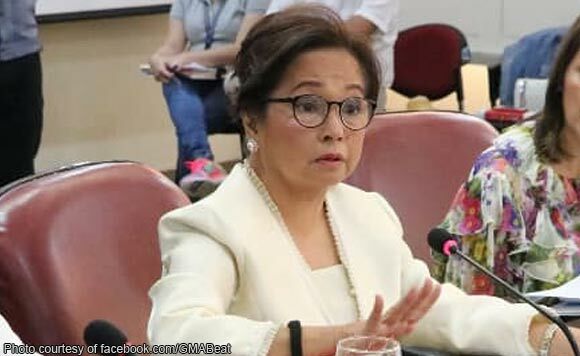 Arroyo’s Facebook page said the former president and incumbent Pampanga 2nd District Representative in Congress stayed until her colleagues suspended their deliberations on the proposed 2019 budget at 6 a.m. Tuesday. At 9:30 a.m., she was back in the House of Representatives in Quezon City to attend the hearing of the Committee on Ways and Means. According to the official schedule of the committee, it was scheduled to tackle two bills that seek to amend the National Internal Revenue Code of 1997 to increase and restructure the excise tax rates on alcohol products. A series of posts on Twitter by Muntinlupa City Rep. Ruffy Biazon showed that Congress deliberated on the proposed budget for the Departments of Interior and Local Government, and of the National Defense and the Armed Forces of the Philippines from Monday evening. Biazon said he stood straight for four hours and 19 minutes to defend the DND-AFP budget, before the debates were terminated at 5:59 a.m. Tuesday. Arroyo, 71, who was president from 2001 up to 2010, has already earned praises from her fellow congressmen for her work ethics. She has said her stint as House Speaker is devoted to carrying out the legislative agenda of President Rodrigo Duterte.